This week we talk to ChereeZ from Eastern France, a huge Killer Instinct fan that supports the community any way she can. 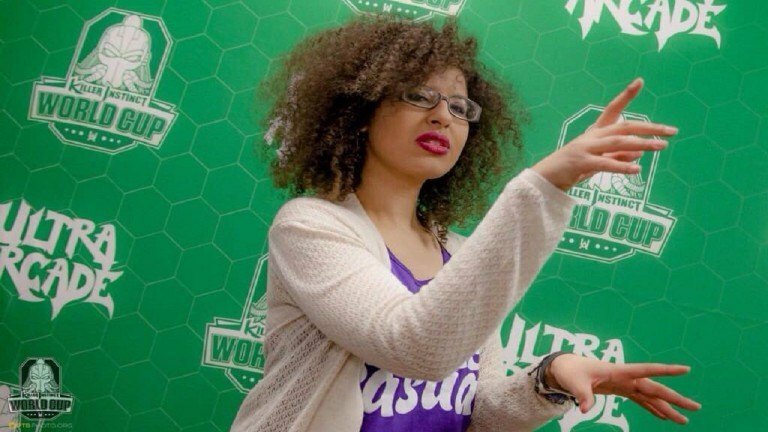 Read about her KI World Cup and community experiences. the East Coast of France, right on the border of Germany. We are famous for our wine, food and for being the reason why French people hates Americans. She is my light in the darkness, her heart is full of pain, the elegant Goddess Sadira. I fell in love with her when I first touch the game at the Microsoft Store in New York weeks before the official release date. The coldness, her play style, her universe just hit me right in the heart. She represents my dark side. I stick with her now and forever. I am loyal to her. If I have a daughter one day, I plan to call her Sadira. Without hesitation, the opening theme called “The Instinct”. This track is so powerful. The drums and the guitar makes me feel invincible when I listen to it. I feel that I can beat Ronda Rousey by KO with just a pinch lol. What got you into playing Killer Instinct? New York to let the players have their first hands on with KI before the release date. I was there. After 4 hours of playing the game, I decided to sell my soul to Killer Instinct for the rest of my life. Is the KI Community your first FGC community? 3 but in France sadly, I had no opportunity to meet others players because I come from a city of first person shooters. Therefore, it was really hard for me to be a part of a fighting game community. the love wasn’t strong enough to push me to be a part of it. Killer instinct on the other hand, it’s my baby. I saw it coming to life, growing, changing style, etc…Same for the community. I know and love every member of it. We are a family. 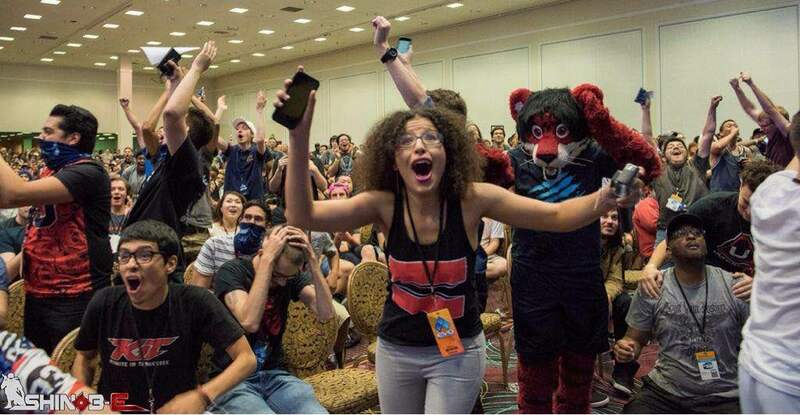 What tournaments have you been able to attend? and the Killer Instinct World Cup 2016 in San Antonio, Texas. Any advice for new KI players? Any advice for other ladies that want to get into the scene? (If someone bothers you, I will send Brandon Alexander to take care of it). Quick shout out to my ladies who are fighting with me online and offline, KammiThrKiller, Pink Diamond, Nighshaydes and Junie B Jones. How was your Killer Instinct World Cup experience? Antonio. I have a huge smile on my face writing this answer. It was unforgettable. All the players who are now close friends were reunited for the love of one game, Killer Instinct. I had such a wonderful time. horrible performance on stream against the Riptor. I saw you recently tweeted about being offered a sponsorship to attend more events, want to tell us about that? 1. I don’t feel that I am at in a place where I can show a good quality of performance. 2. By respect for the 300 guys/girls who work 273,847 times more than I do and get no attention for whatever marketing reasons. I stay true to myself. I am decent but even if I know that the look is a advantage, I don’t want to play this “ I-am-beautiful and you know it buy-my product” card. I respect the people who can use their looks to their advantage, it’s their life. I just choose to be good first and beautiful later. It’s all about who you decide to be and what you can offer to the world. Are you excited about Season 3? balances changes are pretty much fair, the new lighting is just gorgeous and I ADORE THE NEW SADIRA MOVES! With KI World Cup putting Killer Instinct under the Esports spotlight, Season 3 will be the key to a very promising future. What do you have planned next for the Killer Instinct Community? people can see unless they attend live events. The true face. I want to share the unit that we’ve built and that we keep building together. I’m still at the beginning but I have plenty of ideas for us. I am excited.